"Mum, I Love My Snotty"
"Clears runny noses in seconds!" 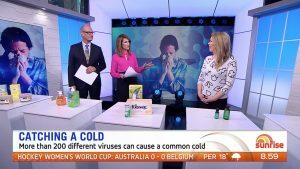 Having problems with your child’s congested or runny nose? 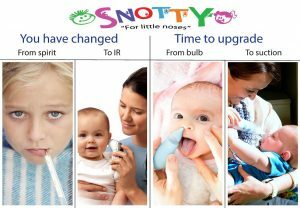 SNOTTY is the NATURAL and HEALTHY way to go without ongoing costs and the need for expensive replacement parts! 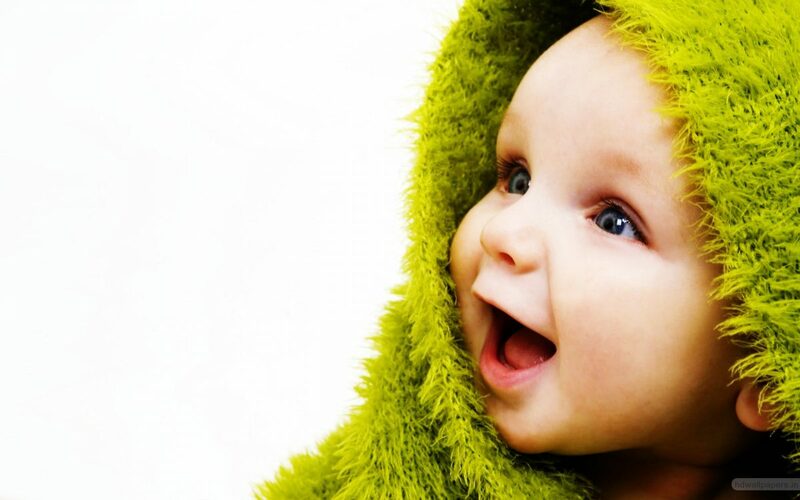 Newborns, infants and toddlers can not blow their noses. If their tiny noses are blocked you will experience a multitude of problems or complications. Nasal congestion will not allow you child to sleep properly, he or she will wake up frequently in an effort to breathe better. Long term congestion may additionally lead to accumulative fatigue, both for you and your child. A blocked nose will prevent your child from eating properly, as the nose is used for breathing and the mounth for eating. 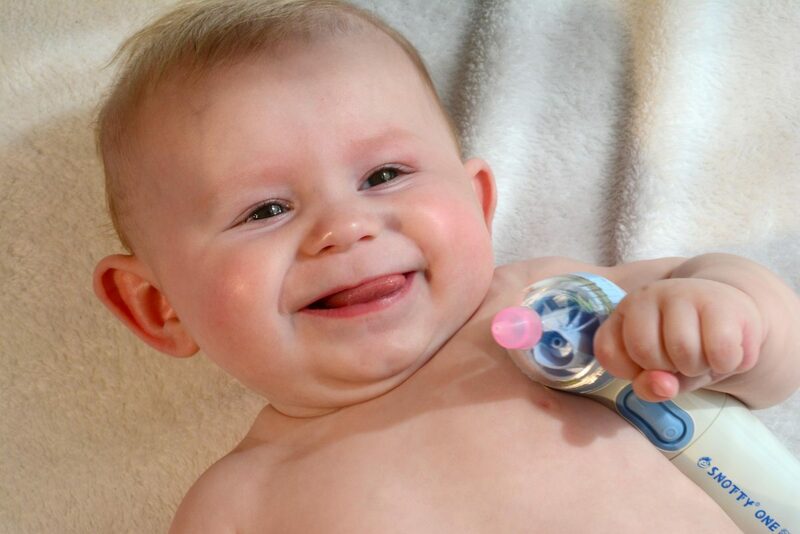 Your child will only be able to latch on for shorter periods or time. Long term nasal congestion can lead to secondary infections, bronchitis, bronchiolitis and even sinus or ear infections. By clearing your child’s nasal cavity you will enable him or her to breathe freely. Your child will once again be able to eat better, sleep better and may recover from the cold faster. With a clear nose you and your child can get a better night’s sleep. Proper sleeping patterns and rest may lead to quicker recovery for your child and better life quality for you as a parent. 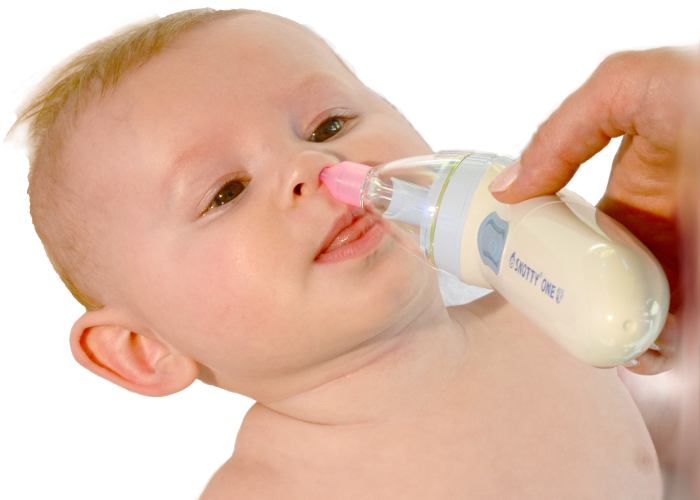 With the nasal congestion gone your child is able to latch on, or bottle feed better, and will feed for longer periods of time. With a full belly your little one will be likely to sleep better and have more strength. Clearing the nasal passages prevents your child from swallowing the mucus, which in turn can avoid secondary infections. 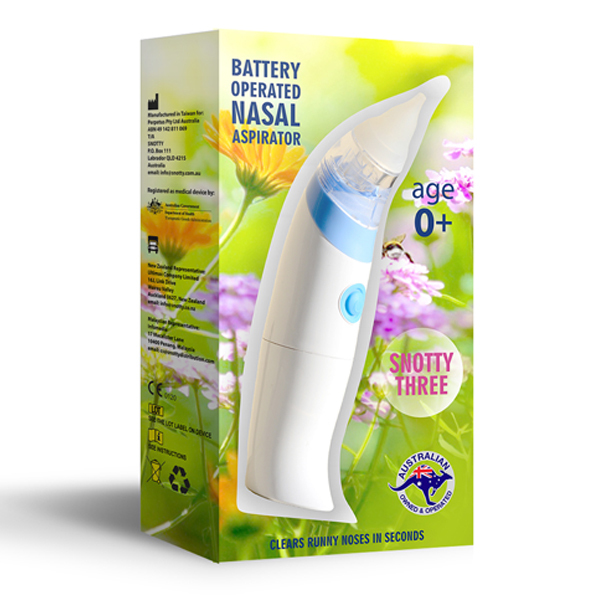 SNOTTY THREE electric aspirator, our miracle worker which clears runny and congested noses in seconds. No mess, no fess! 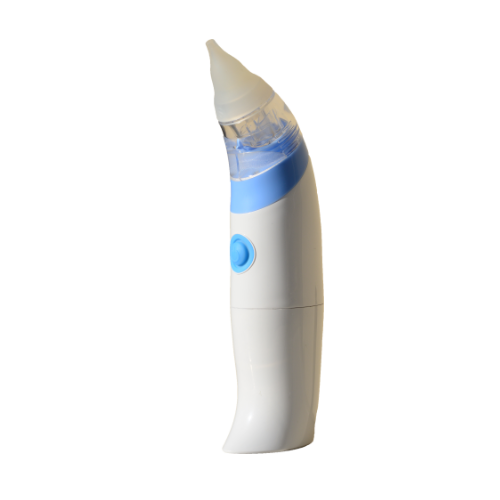 Constant suction clears your child’s nose quickly and effectively. 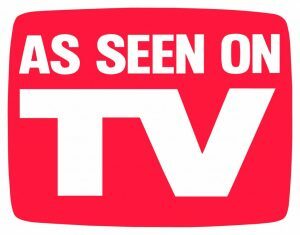 No hidden costs, no replacement parts! from the spirit thermometer to a digital one, simply to make life easier. 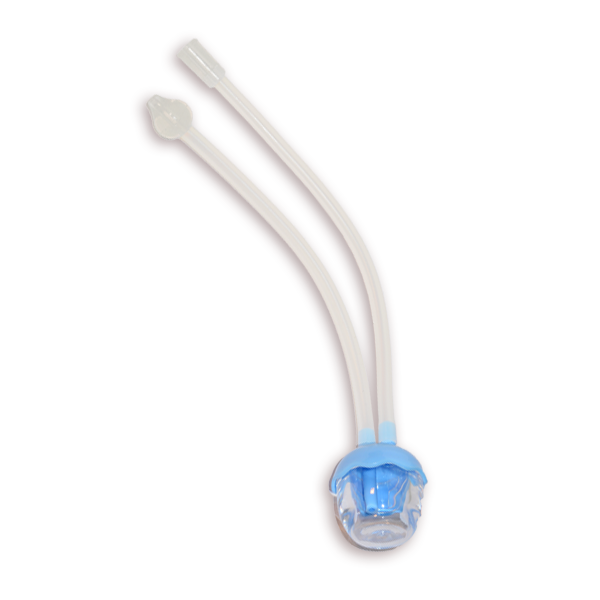 It is now time to upgrade your nasal aspirator to a SNOTTY. in a total sell-out. Thanks you Auckland! 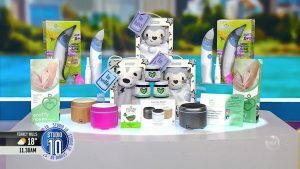 Helping your child to breathe better! 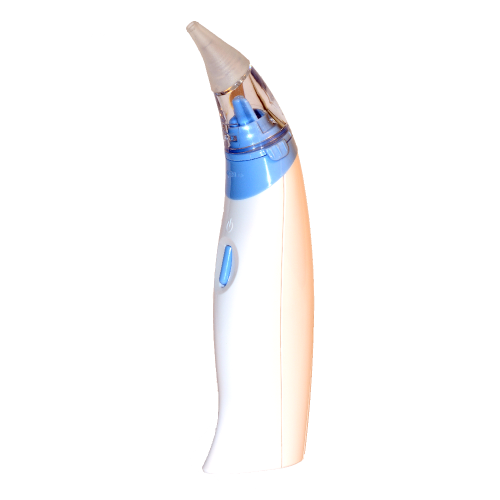 * Note SNOTTY nasal aspirators do not have any hidden costs in form of expensive replacement parts, once you purchase the aspirators you will not need to buy expensive bladders, nozzles or refills. Hi there, I would first like to say I think your product is one of the best investment I made for my little one. I have used it from the moment my baby was born to now 9 months. I just wish to say a HUGE THANK YOU, i won a Snotty with Practical Parenting magazine and my daughter has been the best ever! She has severe allergies so she constanlty has a runny nose, i was using a bulb aspirator 6-8 times day and now with the Snotty i use it ONCE A DAY first thing in the morning and she can breathe so much easier all day, I have reccomended it to all of my friends and even her day care centre. It never leaves my bag.!! THANK YOU !!! I’ve had mine for almost 3 yrs and it’s definitely at the top of my “must have” list! It has been the most useful item especially at the most stressful time … when bubs are sick!THANK YOU !!! 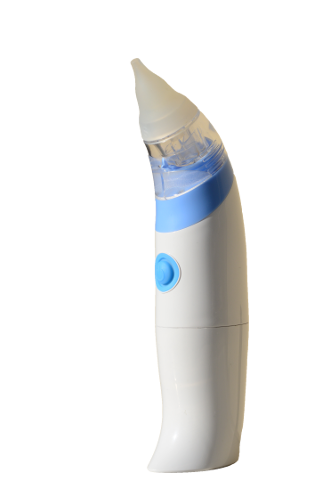 SNOTTY THREE our best aspirator ever!